Blogging by itself won’t make you money. In order to make money blogging, you need to know how to monetize your blog properly. There are several ways to monetize a blog. You can display banner ads, write sponsor posts, sell your own products or services, even sell other people’s products or services. In today’s post, I want to focus on blog monetization through affiliate links a.k.a affiliate marketing. Affiliate marketing involves selling other people’s or company’s products in exchange for a commission. Unfortunately, most bloggers make little to no money with affiliate marketing because they fail to understand that simply dropping some random affiliate links on a blog won’t work well. The devil is in the details of how exactly you promote your affiliate offers. My goal in this post is to show you the exact ways to make money from a blog through affiliate links that gets results. Sounds good? Let’s dive right in! To participate in affiliate marketing, you can sign up to a company’s affiliate program, get a special tracking link that you can place on your blog to promote their products. When a visitor purchases the product after clicking your affiliate link, you will earn a referral commission for the sale. Aside from the lucrative income potential, affiliate marketing is a good monetization option if you don’t want to create your own product, deal with customer service or manage your own inventory. The best part is you only need to put in some work upfront (plus some occasional updates), and it will continue to generate passive income as you continue to get visitors. As a blogger, your goal is to provide value for your audience, then you can make money along the way via affiliate marketing. I assume that you’ve decided your niche when you started your blog. A blog niche is a small topic area that you want your blog to focus on. This could be personal finance, health & fitness, blogging, and so on. Keep in mind that some niches are easier to monetize while others may expose you with too many competition. But don’t let competition deters you as it could mean more opportunity if you can offer something unique. Niching down will help you to stand out more. For example, if you want to write about health and fitness, you need to narrow down your focus to target one specific sub-topic such as weight loss/dieting, healthy living, muscle buildings/workout and so on. In any case, you’ll need to think about what problem your readers have and the solution you can provide by recommending certain products. 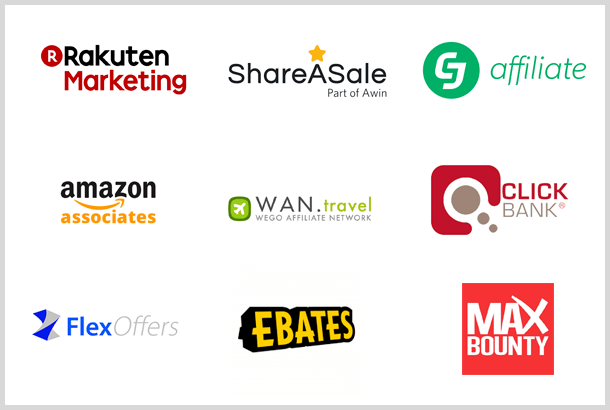 Some merchants run their affiliate programs in-house or through several affiliate networks. Sometimes the commission rates can vary from one network to another. So shop around and promote those which offer higher commission rates to increase your profits. You don’t want to promote just any affiliate programs. Try selecting those that are highly relevant to your content. For example, if you blog about cats, you might want to promote offers that sell branded cat food at a discount or those that offer free cat food samples. That being said, don’t limit yourself to promoting offers which belong only in your niche. If you are a mom blogger for example, there’s no rule preventing you from creating a how to start a blog post where you can promote a web hosting affiliate link. Ideally, you would want to start by promoting only products or services that you’ve used personally. In all likelihood, Amazon Associates comes to mind since you can promote anything under the sun. While it’s a good way to start with affiliate marketing, unless you are Darren Rowse of the fame Digital Photography School, don’t expect to be rich promoting low-priced products with low commission rates from Amazon. I recommend trying Amazon Associates nonetheless because it would be a great learning experience. Who knows you could be the next Darren Rowse! It can be a pretty exciting experience to get your first sales. How to join affiliate programs? Before you sit down and write a post to promote affiliate offers, think about the reason why people conduct a specific search. Are they looking for specific information to help them with something? Are they in a buying frame of mind? 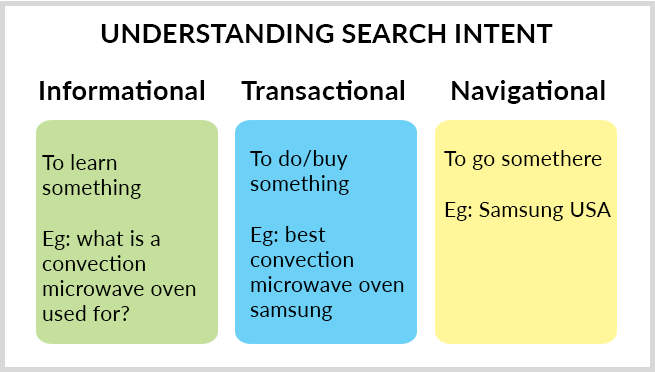 Transactional – searches performed possibly to buy something. Eg “best convection microwave oven samsung”. By understanding the search intent, you can optimize your content for keywords that target visitors in any phase of the customer lifecycle. Some of your posts may not even contain any affiliate links because they are meant to educate and build trust. These posts are for visitors in the learning phase. While other posts are created specifically for promoting affiliate offers (but it should be done in such a way that they actually bring value to the readers). Understanding search intent will help you convert more visitors into buyers. One of the best examples of a website that make full use of commercial intent keywords is the Wirecutter. Nearly all of their articles talk about the best of [some product, brand, gear]. Because they are targeting long tail keywords (those with three or four keyword phrases which are very specific), almost all of their articles appear on the first page of Google search result for their chosen keywords! No matter what type of post you create, you need to perform some SEO (search engine optimization) to ensure it will rank well on Google. Organic traffic is the best source of traffic bar none as it converts well when your content satisfies the user’s search intent. Have commercial intent – is the keyword profitable? To learn more about keyword research and tools to help you uncover good keywords check out this keyword research section. People said content is king. That makes sense because it’s easier to attract blog readers with quality content. Over time, the readers will turn to avid followers as they grow to trust the blogger more. Consequently, it would become easier for the blogger to monetize the content by promoting relevant products and services to an engaged audience. But I feel nurturing your audience usually take place when they are already in an email list. As long as they stay in your list, you can continue to cultivate the relationship. This is ultimately more powerful because an engaged and trusting email list could do wonders for your sales conversion rates. It’s also easier to sell high ticket items which could lead to more income. Unless you have thousands of captive audience and has been blogging for some time, most of your visitors are likely to be new and probably had never heard about you before. All you have is one blog post to engage them. 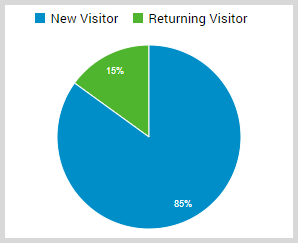 So what should you do to monetize these new visitors effectively? For a start, you can create content that solves a particular problem. Cut to the chase, give them exactly what they are looking for. You can start creating certain types of posts to promote affiliate offers without being salesy. From my experience, it’s not always necessary to create ultra-detailed blog posts to convert your visitors. If you can answer the visitor’s problem and give them what they want in a few paragraphs, why make it more complicated than it needs to be? The beauty of affiliate marketing is that you don’t always have to sell something in order to make money. For example, you can promote CPA (cost per action) offers and get paid when a visitor takes a specific action such as signing up for a free trial, taking a survey, getting a quote, all without having to make any purchase. If they want free makeup, there’s an affiliate program where you can give away free makeup samples! In reality though, you do have to write substantial, useful and relevant content. Not because you want to nurture your new visitors (it’s a start), but because long-form content (over 1800 words or longer) usually rank better in Google especially for competitive keywords. We are creating a blog after all, not an affiliate website which gets its traffic from paid advertising. Long-form content also tends to offer more value, help establish authority and increase the time spent on a blog while reducing the bounce rates. These are signals used by Google to rank your content in the search results. If you want organic traffic, you do have to write longer posts. When it comes to making money from a blog using affiliate links, some post types do better than others. The following are a few post types that you can create to promote affiliate links. For these types of posts, you dedicate an entire post to talk about a specific product or service. You break down a product, show how to use the features and how it could benefit the readers. The title may contain “how to” or “how do I’ or ‘tutorial”. These types of posts often do well on Pinterest too because they are actionable. The beauty of these posts is that you can target popular keywords without actually mentioning the exact product name you are promoting in the title. That way you can attract a larger pool of audience who may be looking for a solution to a particular issue but have no idea what product they should use. For example, for my post How to Start an Email List, I recommend MailerLite as the go-to solution for anyone looking to start their own email list. It helps that I also love MailerLite! Since there are more people searching for “how to start an email list” than “how to use mailerlite”, it makes sense to target the more common keyword phrase. Pat Flynn of SmartPassiveIncome.com is also using this tactic to promote ConvertKit but using YouTube video tutorial. A comparison post is where you compare two or more products and favour one product over the other. It’s also a way to give your readers more choice if the offer you recommend doesn’t appeal to them. People reading a comparison post often already narrow down their choices or are looking for a second opinion, an assurance that they are making the right decision. These posts can convert pretty well because the intent to purchase is already there. You can even go one step further by comparing several different products but that can get complicated. To see some examples of product comparison posts, just google “[product name 1] vs” and see the autocomplete for some ideas. Writing product reviews can be an effective way to promote products with affiliate marketing. Review posts provide value by helping people make an informed decision about the product before they make a purchase. It’s even better if you can write from your own personal experience and make recommendations by adding affiliate links to those recommendations. How to write a product review that converts? Check out the following video from Affiliate Marketing Ninja for some review template you can implement. You don’t always have to write positive reviews though. An honest review which includes your likes and dislikes can sometimes be more effective. Also, you can write reviews of several products and end the post with an explanation of why one product is the best option out of the bunch. If you know something that may benefit others, try finding relevant affiliate offers that fit your story and then share your experience in a post. For example, if you use a certain product to help you lose weight, you can write about it and recommend that product. Instead of just dropping links to products and hope people buy, offer those affiliate links as additional resources that complement your content. Try to include prominent call-to-action. You can ask the reader to click the link or learn more about the benefits they will gain from the recommendation. Don’t just paste a banner ad out of nowhere because you think people will click and buy from it. They won’t. You can create a post listing a number of products or services that help you solve a particular problem or achieve a certain goal. This can be an easy way to include affiliate links in a blog post because you may not have to include a lot of content. Just a paragraph or two is enough. Having a page that lists the tools you use is a great way to provide more value to your visitors. For example, as a blogger, you can list your web hosting provider, WordPress theme that you use, email marketing software, favourites WordPress plugins and so on. Your resource page can contain free and paid tools which may include your affiliate links. Usually, these are tools that you use yourself and can vouch for their quality. However, don’t just drop a description without explaining why you recommend it and how it had helped you. That said, chances are, people who visit your resource page may have not reached your level of expertise yet, so the tools that they need may be different. Here’s a comment I got for one of my posts which show why you should offer more options. While I did recommend a mix of free and paid tools in that article, he was probably looking for more free options which are as good as the paid ones. So think about how you can offer alternative products/services which may suit people at any level. For an example of a Tools/Resources page, check out my Toolbox page. You see this type of posts everywhere on Pinterest. Income reports are great because they provide insights into how much other bloggers are making and how they are doing it. This makes income reports very popular. They can motivate and inspire people to work harder. As people will be comparing your result with that of their own, you’re going to hit their pain point if they’re still struggling. Your affiliate links within the post serve as solutions to their problem. The more income you can show, the more persuasive your content can be. Sadly, because of that, income reports can turn spammy rather quickly. For some, they are no more than a thinly veiled hosting/course sales pitch that has become commonplace. 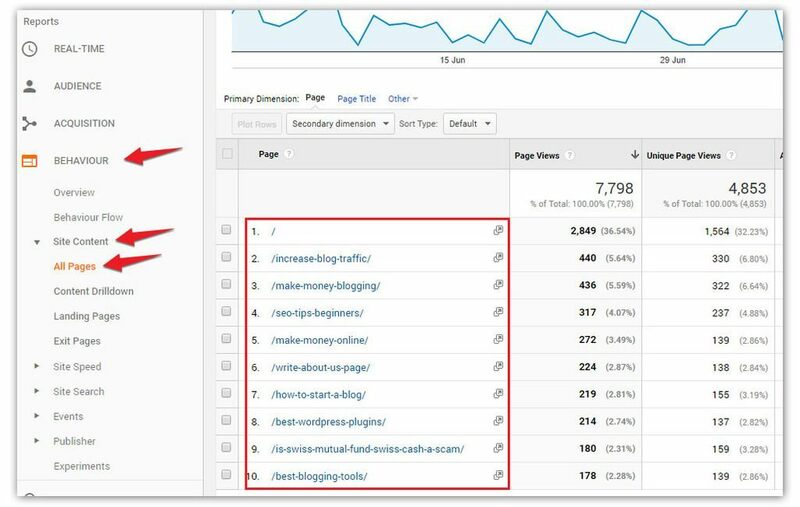 Some bloggers go as far as creating fake income reports for traffic and to generate clicks to their affiliate links. Whether you want to publish your income report or not, ask yourself if it aligns with your own blogging goal and values. If you choose to publish one, also be ready to get some negative feedback too as some people would doubt you (especially if you don’t show enough proof) or might feel jealous of your achievement. Find several of your money making posts and link them from several places to drive more traffic. There are a few things you need to implement in your blog to comply with any affiliate promotion. Depending on the affiliate programs, some companies might require you to add a paragraph on each page which includes one of their links. In other cases, disclosing this in your Terms of Service or Disclaimer page should be enough. If you promote Amazon Associates, you need to place Amazon marketing policy on your sidebar or footer for each blog post that has Amazon affiliate links. Here’s how my disclaimer statement looks like on my Start a Blog post. Click here to learn more how to create these important pages. And that’s how to monetize a blog through affiliate links folks! One thing to keep in mind is that making money from affiliate programs won’t happen overnight. It takes time and requires consistent effort to make any meaningful income from it. As your traffic grows, you’ll soon find that any affiliate links you promote will result in a conversion if you follow the strategies outlined above. Once you start making sales, you can always tweak your posts to improve the results. Do you promote any affiliate offers in your blog? Which promotion methods that are working for you? Let me know by leaving a comment below right now. Wow, super informative and helpful! Thanks for putting g this together! Thanks Emma. Gland you find it helpful!